I just read your article in REEP with the survey of environmental economists. I look forward to using it in my class next term – I usually start class off with a survey of the students, and it will be fun now to compare their answers to those of the profession. And I really need to remember to check your blog more often… I always mean to do that, and then just somehow it gets away from me… but that’s a great resource too! Right now the article is free and at the top of the "most read" list here: https://academic.oup.com/reep. If you’re looking for practical, insightful and educational economics blogs, you’ve come to the right place. Here are the 100 best economics blogs online, listed in no particular order. Today, as you know, there’s no shortage of high-quality economics blogs on the web. But we decided to separate the wheat from the chaff and give you the absolute cream of the crop. Whether you’re new to economics, or have an interest in a range of economics topics like econometrics and macroeconomics, or simply want to keep up with global economics, these economics blogs give you the rundown, insights and explanations you need to get a good understanding of economics. Emphasis added to make sure you notice that theses are IN NO PARTICULAR ORDER--so we consider ourselves #1. 83. Environmental Economics: Environmental Economics is a blog intended for a wide audience and approaches its arguments with an easy to understand writing style. 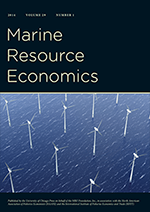 The two authors, Tim Haab and John Whitehead are both Economics Professors. 87. An Economic View of the Environment: An Economic View of The Environment is a blog by Robert Stavins, who is a professor at Harvard University and is the Director of the Harvard Environmental Economics Program. His posts paint a comprehensive view of global environmental issues from an economic standpoint. 95. Environmental and Urban Economics: This site by Matthew Kahn, a leading American educator in the field of environmental economics is self described as a blog that addresses environmental and urban issues from an environmental perspective. This is a great read for economists interested in the environment. 100. Aguanomics: David Zetland is an Assistant Professor of Economics at Leiden University College in Den Haag, the Netherland and the creator of Aguanomics. This is a blog dedicated to a discussion of the economic and political factors affecting the way we manage water. Of course these are IN NO PARTICULAR ORDER (but I include the number rankings, just in case). There are other blogs on the list that occasionally touch on environmental issues, but these are the four that seem to be dedicated to environmental and resource issues. Happy 10 year anniversary to the environmental economics blog (sniff)! All postings are accessible, non-technical writings by expert economists. The site will appeal to students and members of the public interested in what economists have to offer in the analysis of environmental issues. If you are interested in posting to the site please follow the instructions on the site. The site will be continually evolving so check back often (it would even make a very nice default homepage). Pass the site along to anyone you think might benefit from reading economic views on environmental issues. If you have any questions, comments or suggestions, please feel free to send them to us at [email protected] or [email protected]. Here is a graph of our annual page views from StatCounter. As you can see, this blog peaked a long time ago. But at least the recession has not become a depression. I'm symbolically hoisting one tonight with my buddy Tim (who I've seen in person maybe twice in the last 10 years). "Is Blogging or Tweeting about Research Papers Worth It?" We are a long way from "everyone" doing it (ahem), so my guess is that there are still gains to blogging about research. Take a look at this paper to see some empirical evidence: The impact of economics blogs (McKenzie and Ozler). "Keep env-econ.net unaffected from Google Updates"
My name is [redacted] and I am the SEO expert of a leading SEO service provider company. As per my analysis, your website is not performing well in the Google organic search. Also your traffic is poor from last couple of months due to some of the reasons. We will give you 1st page ranking on Google, Yahoo, and Bing. When I google "environmental economics" it still comes up first. Is that still happening for others? How could our sales be even better? And after the oil spill, our brand was so destroyed that not even a million dollar tourism campaign could improve it. And would someone please help us with errors and content quality? Nicholas Kristof of The New York Times riled many scholars with a column in Sunday’s newspaper that laments what he perceives as the disappearance of intellectuals from the national stage. Read the rest to see some of the outrage ... "hey, we have a blog!" "there are newspaper columns!" But I agree mostly with Kristof. Engaging the public with outreach economics (blogs, community talks) is something only an embarrassingly small fraction of economics professors wants to do*. I disagree when he points to PhD programs and the tenure process as being a large part of the problem. PhD programs don't create automotons who can only speak inbred research gibberish. They generally create articulate researchers who can also teach (I say that with the caveat that I don't know many people at the top progams, they may well be automotons). In terms of the tenure process, this might be old fashioned but an assistant professor should focus on building a vita before s/he turns more of their attention to outreach. The pre-tenure years are only a small chunk of the time one has in a career. The bigger problem is that there is little pecuniary incentive to engage in outreach as part of your job on campus. In our little corner of outreach we always had hopes that we might be able to attract many more bloggers. We've had a number of guest bloggers over the years but no one has really wanted to make this part of their life's work (for a counter example, see Zetland) or they have their own blog. It can't hurt to make the offer again. If you think you have something to say and might like to become a blogger without incurring all of the fixed costs, think about becoming a regular contributor to the Environmental Economics blog. Shoot me an email if you have any interest and we can set it up. One to two posts a week every other quarter (in GDP terms, not the academic calendar) and we'll be happy to add your name to the left hand column! And, obviously, the posts need not always be all that serious-minded. *Note: I know 125+ environmental and resource economists who are willing to write for a general audience. 100 months of Environmental Economics! Actually, it is 101. Somehow in my self-absorption I missed that we reached our 100th month of blogging at the end of September 2013 (I think I've "counted" [i.e., copied the archives list of months into MS Excel and took a look at the number of rows] correctly). So the problem is really twofold: Women have been discouraged and excluded, and those who make an impact anyway have had their contributions discredited. Add these together, and economics has a long history of being a macho science as well as a dismal one. So that’s the state of play. That said, women have made huge gains in the field over the past 40 years. According to the American Association of Economics’ Committee on the Status of Women in the Economics Profession (CSWEP), 35 percent of new economics Ph.D.’s are women, up from about 7 percent in the 1970s. In the coming months, I’ll write more about what this all means, for women and for the field as a whole. For now, I won’t delve too deeply into my experiences as an openly feminist economist and the eye-rolls I get from some of my peers whenever I suggest we hold more lectures and classes on feminist economics. Discussing that subfield just opens up a whole other can of worms, except yuck, girls don’t like worms. Twenty-eight percent of our sample of AERE members are women and there are some gender differences on some of the items (if anyone wants to dig deeper and look at the data for men vs women split, let me know and the data is all yours). I'm not sure where environmental and resource economics falls in the quant to caring field range. Probably closer to caring? Since we *might* care more about environmental issues than other economists? In response to the overwhelming grassroots interest we've received we have in being nominated for a Nobel Prize in honor of our contribution to the promulgation of environmental economics in the blogosphere, I've done some research (i.e. I Googled 'Nobel Prize in Economic Scence nomination'--I would've Google 'Sveriges Riksbank Prize in Economic Sciences in Memory of Alfred Nobel' but I can never remember the real name...that will change when we win). Other scientists from whom the Academy may see fit to invite proposals. Somewhere in my family tree is a two-time President of the Swiss Confederation: Robert Haab. That should count for something, right? Anyhow...still looking for that nominator. Rise up env-econers! Grass doesn't grow without roots.